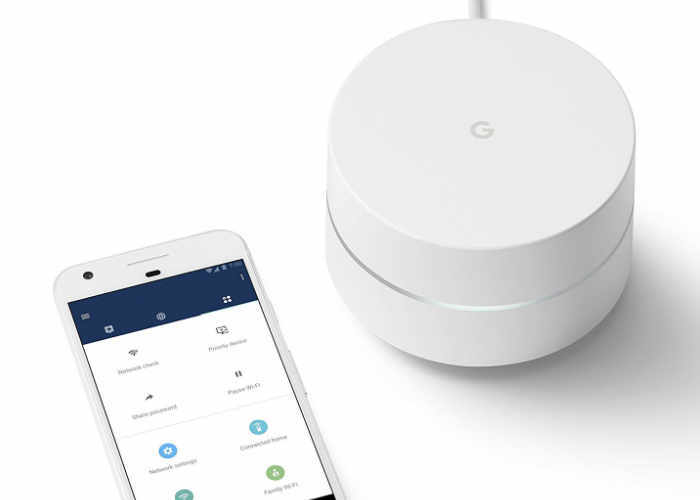 After making its way through the FCC and then being made available to preorder a few weeks ago, Google has now officially launched its new Google WiFi router, which has been designed to provide an easy to set up system that creates a wireless mesh providing seamless WiFi coverage throughout your home. Using a selection of Google WiFi routers and replacing their existing hardware, users can eliminate dead zones and buffering, says Google. The new Google wireless router is compatible with major Internet service providers including Comcast, Time Warner, and Verizon Fios. Enjoy a fast signal in every room, on every device thanks to a new type of connected system. Replace your router with a set of Google Wifi points that work together to cover your home in fast, reliable Wi-Fi. Advanced software works in the background to manage your network so you never have to. Network Assist always selects the clearest channel and fastest band for your devices. Through the companion app, it’s easy to share your password with guests, prioritize devices on your network, see what’s connected, and more. Google Wifi allows you to pause the Wi-Fi on kids’ devices, like during bedtime or dinnertime. Google recommends that one wireless router is capable of covering a 500-1500 square feet, while two will cover 1500-3000 square feet and three 3000-4500 square feet. For more information, full specifications and the ability to order jump over to the official Google website via the link below or your local Amazon.